Mane Attraction took 1st Place in Freestyle and 2nd Place in Team of Four. 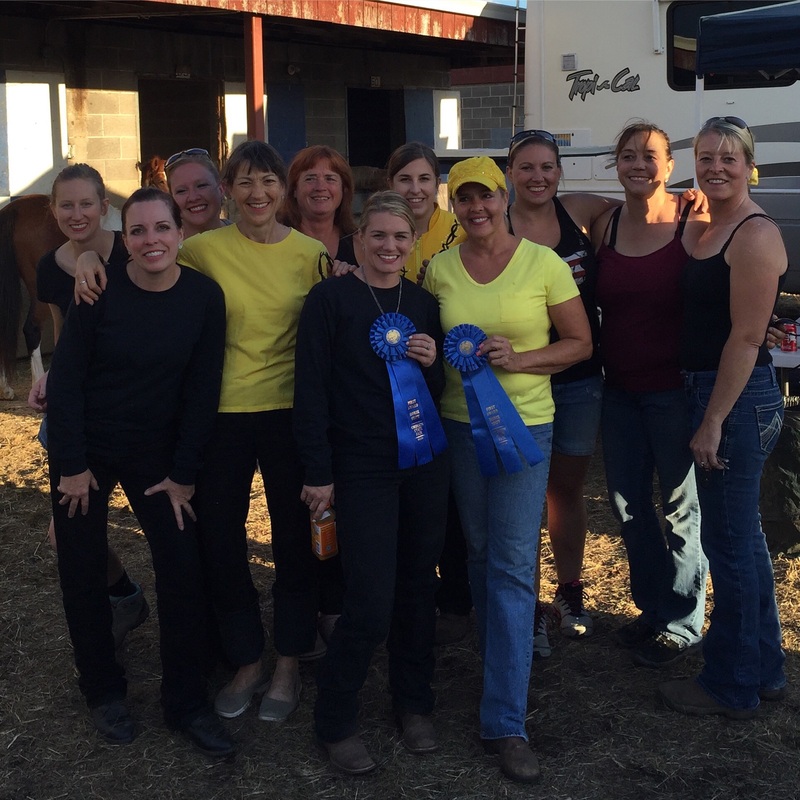 Michelle Worley, Theresa Bischel, Lisa Petersen, Ashley Nash, Doreen Cowan, Jeannine Brucha, Lori Woody, Sara Brasel. Erin Matthews was absent from picture. The Mane Gals do it again! 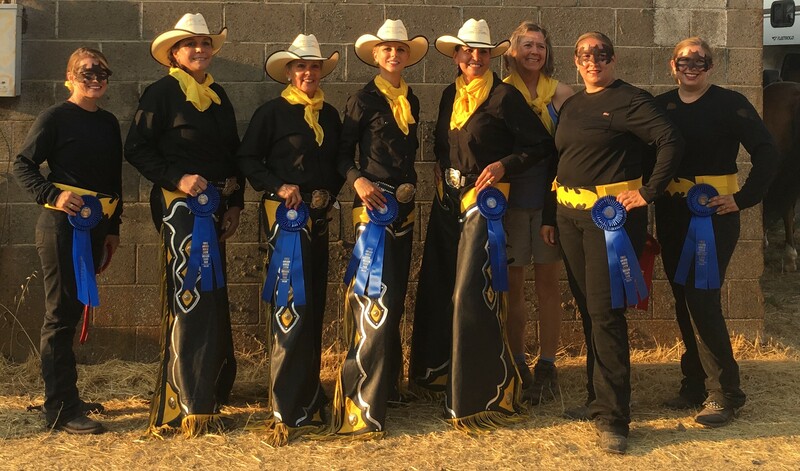 Placing First at the Oregon State Fair Drill Competition in Freestyle and Team of Four! We are the champions! 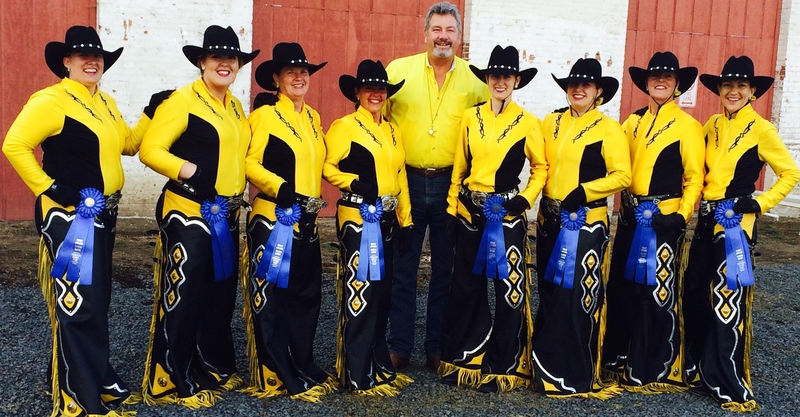 Mane Attraction Rodeo Performance Team finished the 2015 Drill Season on a successful note! 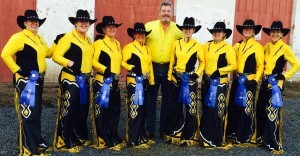 Winning the Oregon State Fair Drill Competition was a fun and exciting end to a great season. 1st Place feels great! 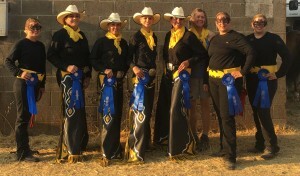 The Mane Attraction Ladies performed well at the Oregon State Fair on September 2,3 2012. Placing First Overall and First in the 9 and Under Division, the Ladies took home the Blue Ribbon and the Championship Flower Ring!